It's easy to feel overwhelmed when you're struggling to get out from under a mountain of debt. Here are a few tips in no particular order that may help. This is the most important thing you can do when you get started. You need to get a list together of all of your debts, bills, expenses and anything else you are spending your money on. Write down all of your debts along with their balances, minimum payments and interest. Make another list with all of your monthly expenses - don't leave anything out. Use an online tool like Mint to get a simple budget going. The internet is lousy with some really good (and free) budget templates. Is there anything you can do to increase your income? You need to increase your cash flow to give you some breathing room. Do you have something you can sell on Craigslist? Can you work some overtime? Second job? Ask for a raise? Babysit? Do online surveys. Focus groups. Start a side business. Become an Uber driver. Call your credit card company and ask for a lower rate. You'll be surprised how often this works. It never hurts to ask. Cut way back on eating out and going to bars. You can save hundreds of dollars a month by staying at home with friends and cooking your own meals. Grocery bills can creep up too, so watch out for impulse food buys and try to buy in bulk whenever possible. Cut the cable: Cable and satellite TV can be huge monthly expenses. Many people pay over $200 per month just for TV alone. You can always get a Roku and use Netflix or just use rabbit ears for free local TV. If canceling service is not an option, just call the cable company and just ask them to lower your bill - this works almost every time. Ditch the land-line: This is becoming more and more common. There really isn't that great of a need for a land-line anymore. A few years ago, I picked up an Ooma VOIP system for around $130 and was able to save at least $25/month. I pay exactly $0/month and still get the same service. This single small investment has paid for itself ten fold. Get a cheaper cell plan: Look into smaller cell providers like Ting. These services work great if you already own your phone and are not a very heavy data user. Also, be sure to check with your employer to see if they offer a discount with the major cell providers. I save 25% of my AT&T bill because of my employer provided discount. Shop your insurance: Get a few auto insurance quotes every so often just to make sure you are getting a competitive rate. If you have a Costco account, check out their auto insurance - it's what I currently use. There are huge industries out there specifically designed to prey on people in debt. They do their best to separate you from your money, so don't get sucked into their traps. Payday loans will break you: Getting involved with payday loans is a surefire way to spiral out of control. The interest rates at these places are so high; they have to give you weekly rates. In the fine print of the legally required paperwork, you'll see that the annual interest rate can be over 300%. 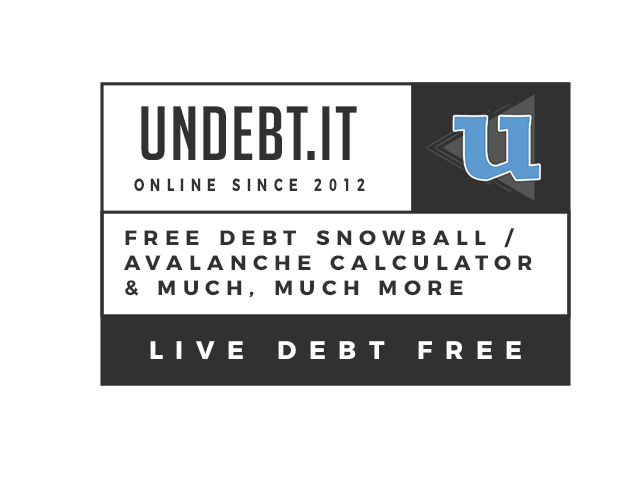 Don't use debt consolidation companies: These guys make it sound like they have deals worked out with your lenders and that you'll save money in the long run. Here's how it really works: you pay them an agreed upon amount every month - less then what you'd normally pay the original lender. They keep the money and don't pay any to the lender. Meanwhile, you'll be sent to collections and get harrassing phone calls at home and work. Collectors will even call family members and even friends. Eventually, the lender will start sending the consolidation company settlement offers. When the offer becomes less then what the consolidator has in your account, they pay off the loan and keep a large chunk of change for themselves. Meanwhile, your credit is destroyed and you still paid a lot of money on the debt - a lot of it went to the consolidator - for doing nothing at all! Remeber you don't need to pay for help getting out of debt, you can do this on your own!